Service revenue is among the most valuable assets for fire alarm companies. As such, if you’re a fire alarm business owner, growing your service revenue can result in a tremendous amount of additional profit and can ultimately help you increase the value of your business. Looking for ways to grow service revenue in the fire alarm industry? Here are a few ways to do so. Fire alarm glitches are inevitable, which is part of what makes fire alarm service contracts so profitable. It’s not a matter of if your customers will need service from you – it’s when and how often. If you’re looking to further increase service revenue, set your sights on servicing larger facilities. Typically, the larger the facility in terms of square footage, the larger the revenue opportunity. Since you know these facilities will ultimately require service, this can be a great way to increase profits. If you do decide to reach towards increasing the size of the facilities you provide service to, make sure that you don’t stretch yourself too thin. You’ll need to ensure your fire alarm business has the resources required to service larger facilities effectively, otherwise this strategy could backfire. In this day and age, consumers have grown accustomed to being disappointed by customer service. They receive subpar service, leaving them frustrated and searching for alternative solutions that will better meet their needs and expectations. This disappointment with customer service can actually be seen as an opportunity for your fire alarm business. With customer satisfaction low, the door remains open for new, more attentive providers to step in and connect with customers who are disappointed with their current service provider. You may be able to generate new business by outperforming your competitors in terms of customer service – and you’ll likely prevent attrition by keeping your current customers happy with the level of service you’re providing. As such, staying focused on providing top of the line customer service can, in turn, help you to grow your fire alarm service revenue. Service revenue may be just one facet of your fire alarm business, but it’s an incredibly important one when it comes to generating revenue. With that in mind, if you’re looking to increase profitability and the value of your alarm business, it may be a good idea to take a step back and refocus on the area of your business where your profit margin will be the biggest. For many fire alarm businesses, this area is service revenue. 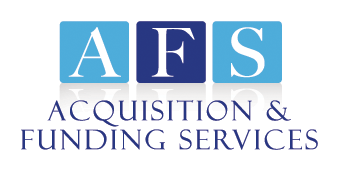 Whether you choose to seek out additional service agreements with current customers, go after larger service agreements when pursuing new clients, or adjust what you choose to provide as part of your service contracts, focusing in on generating service revenue can help you to augment your profitability and grow the value of your alarm business. One of the most basic ways you can go about growing your alarm business’ service revenue is by signing new customers on for service agreements. Showcasing your high quality service as a selling point can set you apart from the competition and help you to win business that’s extra profitable. By marketing service contracts, you can increase the area of your business that provides the highest profit margin while maintaining a comfortable balance between the service side of your business and the systems side. This may also enable you to grow your customer base which, in turn, can further strengthen and add value to your organization. If you’re a fire alarm business owner looking to increase your company’s profitability and value, fire alarm service revenue can provide a terrific opportunity to do so. Whether you’re hoping to stay in the industry for years to come, or you’re looking to sell your fire alarm business in the near future, the four strategies above can make a big difference for your organization when it comes to augmenting growth, profits, and value. Interested in learning more about what makes service revenue so valuable? 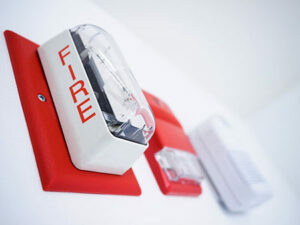 Find out what makes service revenue such a valuable asset for fire alarm businesses. Looking to sell your alarm business for maximum profit? Learn about how to connect with qualified buyers who are aware of the value of service revenue and willing to pay top dollar for your fire alarm business or accounts. Have additional questions about growing the value of your fire alarm company, or selling your fire alarm business or accounts? Get in touch with experienced alarm company broker Rory Russell today to get the answers you’re looking for. Give him a call at (800) 354-3863 (24/7 availability) or contact him online to get the conversation started.